It’s been a crazy, drama-filled week in EVE Online, starting with a controversial change to the EULA that will ban all gambling sites using in-game currency or assets when the Ascension expansion arrives on November 8th. The move comes alongside the banning of high-profile gambling kingpins Lenny Kravitz2 and IronBank, the two players who famously funded World War Bee using the trillion-ISK profit fountains of a casino empire. The gambling ban is expected to be a serious blow to player-run events, charitable organisations, and even some blogs, all of which have been funded in part by gambling sites for several years. With its main benefactor now banned, charitable organisation Care 4 Kids has come under renewed pressure from players questioning its profit-making activities and political motives. 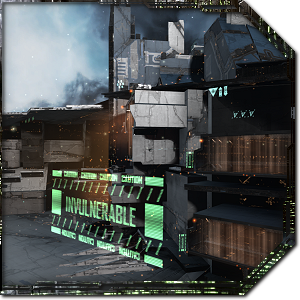 Over the past year, the group has erected a massive citadel structure, gained territory in nullsec, and even hired farming corps. In this in-depth edition of EVE Evolved, I look at why the gambling ban was necessary, the impact that ISK from gambling has had on EVE, and the recent drama that’s bubbled up around the Care 4 Kids charity. When CCP announced the upcoming ban of third party gambling websites in EVE, it gave most sites until November 8th to wind up their operations and shut down. Casino-style websites IWantISK and EVE-Casino were both shut down immediately and had all of their assets confiscated instead, the first due to compelling evidence of Real Money Trading (RMT) and the second for repeated breaches of the Developer License Agreement. Site creators Lenny Kravitz2 and IronBank were both permanantly suspended due the offences, but both protest their innocence and claim to have ongoing petitions with CCP to reverse the decisions. While many in the EVE community have been quick to blame the RMT mess for the decision to ban all gambling, that’s not the entire story. Gambling websites are easy to hide RMT trades in, but lotteries and other games of chance have been a part of EVE‘s player culture since day one. 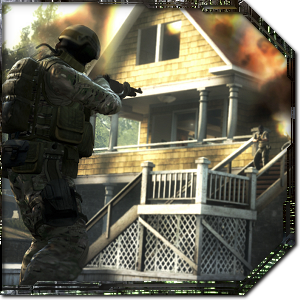 It’s more likely this change was prompted by the massive backlash and lawsuits over skin gambling in Counter-Strike: Global Offensive. Though CS:GO skins are a much more clear-cut case as they have direct cash values in Steam credit, EVE ISK could be considered to have a cash equivalent due to PLEX conversion. Allowing gambling websites in EVE could begin to expose CCP to some serious new liabilities. Both Lenny Kravitz2 and IronBank have made ludicrous amounts of ISK from EVE gambling services, so much that they’ve been able to basically shape the game world any way they like. 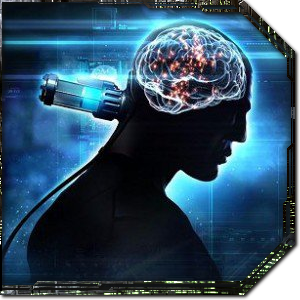 IronBank famously spent $28,000 worth of ISK on skill injectors to create a max-skill character from scratch, and both players personally bankrolled an entire war against EVE‘s most powerful military alliance. More recently, Lenny Kravitz2 has set his sights on the even grander challenge of creating an extensive network of neutral trade citadels all throughout EVE. 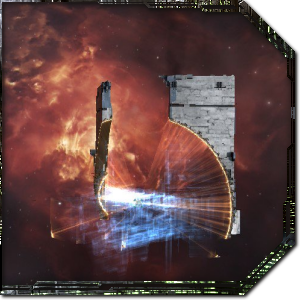 The first Keepstar in the network was deployed in Aunenen at the end of September and is run by the “New Eden Trading Company” alliance. The plan is to deploy more of the colossal citadels in strategic locations throughout low-security space and then to connect them to each other and the trade hub in Jita via chains of cheaper Fortizar structures. The chain would be spaced close enough together to allow jump freighters to jump from one Fortizar to the next safely, and would allow the safe movement of supercapital ships throughout the map. 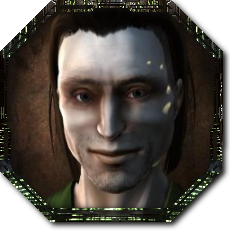 The New Eden Trading Company even installed well-respected and universally trusted community leader Chribba as the CEO in order to provide publicly acceptable accountability. Though Lenny has now been banned and his assets frozen, he reports that other financiers who are even richer than he is have stepped in and the trade network will continue as planned. Though EVE is typically a cutthroat and highly competitive game, it actually has a long history of supporting charity work. 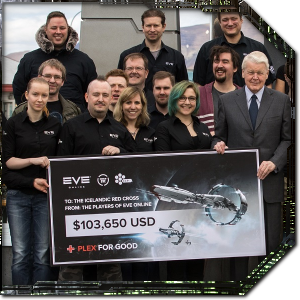 The EVE community has raised over $470,000 for disaster relief through CCP’s official PLEX for Good scheme so far, and players run support groups such as Broadcast for Reps for suicide prevention and Best of Us for military veterans. Some of these programmes and the events they ran were previously supported by ISK donations from gambling sites that will no longer be available. Among the most strongly affected organisations is Swedish charity Care 4 Kids, which was launched by EVE player Jonas “C4w3” Sjösten in 2015. Care 4 Kids provides teenagers who are in hospital for long-term stays with care packages containing EVE game time, in-game items, and physical treats such as candy. The group also started an in-game corporation named Care For Kids and an alliance named Care For Kids Empire that the teenagers can join if they want to. It’s a great idea with the potential to have a real positive impact on hospitalised teens around the world, as EVE is the kind of long-term game you can play even when you have limited activity, restricted mobility, and irregular waking hours. Since the programme’s inception, players have donated enough ISK to fund at least 350 care packages sent to hospitals in several countries. So where has all the drama come from? Rather than simply relying on donations forever, the people behind Care 4 Kids decided to try to make the project self-sufficient with sustainable ISK-generating schemes. One such project was the deployment of an incredibly expensive Keepstar citadel in the lowsec system of Maila back in June. The Keepstar was designed to be a publicly accessible trade hub where players could safely buy and sell supercapital ships on the public marketplace, something that hadn’t been possible before. A small percentage of each supercapital trade is taken by the citadel as a transaction fee, and all of the profit from the citadel goes to help fund the Care 4 Kids programme. Players were initially apprehensive about the idea of a charity owning a citadel. There was a feeling in the community that it might be seen as poor taste to attack it, and the last thing EVE needs is for the headline “EVE Online bullies destroy children’s charity” to be plastered all over the internet. Though the Care For Kids Empire never asked for special treatment from players, no one was really sure whether the citadel should be considered off-limits for war because it belongs to a charity. There was also concern that someone might skim profits from the operation or use it to push their own in-game political agendas, either of which could equally stir the games media into a frenzy. Fast-forward to today and Care for Kids Empire is now a territory-holding alliance with 659 members spread over 21 corporations and growing. In addition to running the trading Keepstar in Maila, the group now has its own supercapital manufacturing programme and owns 16 star systems in the lucrative Cobalt Edge region of nullsec. The alliance has also recently brought on board several farming corporations that players expect are paying rent to use their space. An examination of the Care For Kids corporation shows that it contains a lot of older players and alt characters, but that’s not surprising as we’re told the kids in the programme are encouraged to find their own way in EVE and most join other corporations. “The Care for Kids Empire [CARE] alliance is treated just the same as any other alliance in game. They are afforded no special protection or assistance from CCP, and are not audited or bound by any rules in any additional way that restricts or directs their in game activity. CCP has no official relationship or business relationship with Care4Kids as a charity, or the Care for Kids Empire alliance as an in game entity. So, from the point of view of CCP, Care4Kids and the Care for Kids Empire alliance are an in game entity the same as any other. As much as we may have enjoyed gambling websites such as Somer Blink and IWantISK, I can’t help but be uncomfortable with the kind of power that their creators have gained over the rest of the game. In a sandbox game in which wealth can buy literally anything, having trillions of ISK flowing from an out-of-game source that can’t be attacked seriously distorts the state of play. Third party games of chance also make it ridiculously easy to hide real money trades, and we’ve already seen one video game developer, Valve, exposed to serious legal action over gambling sites. The loss of income for events and charitable causes is something that hopefully CCP itself can help with, both by increasing the visibility of player-run events and distributing prizes to those in attendance. Thankfully for groups like Care 4 Kids, November’s Ascension expansion should dramatically reduce the programme’s running costs by providing free alpha clones, allowing the group to do its good work even if another alliance does capture its territory and destroy its assets.